A congressional report found that, before September 11, 2001, intelligence agencies were poorly organized, poorly equipped, and slow to pursue clues that might have prevented that day’s terrorist attacks. The following story offers a unique insight into how that could be. 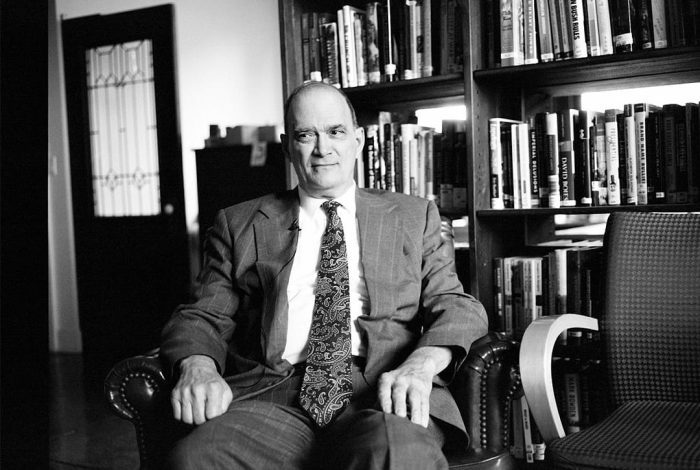 Bill Binney was, as far back as the 1960s, one of the NSA’s most distinguished analysts. He had almost a sixth sense for understanding the patterns behind the webs of relationships that would often prove to be even more valuable than the actual contents of intercepted communications. This ability was a valuable tool in making sense of Soviet communications and intercepts. Binney’s work might very well have warned us of 9/11, and other terrorist attacks, had it been allowed to continue. Instead Binney was forced to become a whistleblower — and a crusader for both his work and the privacy protections of American citizens. Using his methods, he anticipated the 1968 invasion of Czechoslovakia, the onset of the 1973 Yom Kippur War and even the 1979 Soviet invasion of Afghanistan. The funny thing was that many of his higher ups in the intelligence community didn’t take him seriously. Even after he had proved himself almost prescient, they all felt that his methods were too inexpensive and too simple to be the real thing. As the digital age arrived and Binney moved from the Army to the NSA, he was shocked at how primitive the NSA technology was. He tried to change that. And while many of his colleagues liked to think the Soviet threat would be around forever, he foresaw the threats from international crime and terrorism and the need for appropriate programs of information collection. In response, he developed cutting-edge computer programs of pattern recognition, with off-the-shelf software, to try to foreshadow these threats. The problem once again was that Binney worked too cheaply. The leaders of the NSA wanted to spend well in excess of three billion dollars for projects that were unproven, and performed poorly when tested, compared to what Binney had created — for one-tenth the cost. That’s when higher ups at the NSA, including then-director Gen. Michael Hayden, decided that Binney and his work had to be neutralized. The harrowing story that follows is told by Binney in his conversation with WhoWhatWhy’s Jeff Schechtman in this week’s podcast. Binney explains how his “ThinThread” program worked — how it protected privacy and passed Constitutional muster. He explains why he had to leave the agency when his work was shut down in favor of programs that didn’t work — ones that totally ignored privacy concerns, but that provided a gravy train for contractors and executives alike. Binney’s story is the subject of a new documentary, A Good American, (available on Netflix) from executive producer Oliver Stone. For the full story, in Binney’s own words, this podcast is a must. Jeff Schechtman: Welcome to Radio WhoWhatWhy. I’m Jeff Schechtman. Some men spend their whole lives seeking out fame and fortune. Others put their nose to the proverbial grindstone each day, do their job, and try and do it well, fairly and with integrity and with passion. They don’t seek fame or fortune, merely the satisfaction of a job well done. This is true on the assembly line or in the highest reaches of corporate America or government or even espionage. Often when these two kinds of men clash the collateral damage can be substantial. My guest, Bill Binney, was as far back as the 1960s one of the NSA’s most distinguished analysts. He had an almost sixth sense for understanding the mathematics behind patterns of contacts and webs of relationships that would prove to be even more valuable than the content itself. As his distinguished career with the NSA progressed, he would begin to combine these skills with the evolution of the digital age. It was, and he might disagree with this, the perfect coming together of a man, his talents, and the technology of the time. The problem is his superiors had other ideas, ideas about seeking fame and, more importantly, fortune. The clash would fire up his courage as a whistleblower, but it may also have caused the nation thousands of lives on 9/11 and beyond. This story, Bill Binney’s story, has recently been told in a new documentary out on Netflix entitled A Good American, and Bill Binney is here today to talk to us about this powerful slice of American history that is still very much a part of our search for safety and for privacy. Bill Binney, thanks so much for joining us here on Radio WhoWhatWhy. Bill Binney: Thanks, Jeff, for having me. Jeff Schechtman: I want to go back to the 1960s, to your early days with Army Intelligence, your early work on cryptography and trying to discern patterns to communications and contacts and networks. It was a time when you really began to evolve the idea that such networks and patterns were almost more important than the content itself. Bill Binney: A lot of it … When I first got into the business it was in the military, so our basic threat then was the Soviet Union. That was the big threat in the world to us, so that was where I was focused. Most of everything they did was encrypted, so you’re basically looking at relationships in the ether in terms of communications, of just basically contacts. We were working basically with what we now call metadata. Back then we used to call them just network analysis or net analysis or just analysis of military context basically. That meant you had to look at the relationships and patterns of relationships to try to interpret what it meant. That’s basically how it started. It meant that you could look at a lot of data just on a superficial basis, looking at just the metadata and the relationships, and that’s the kind of approach that transitions right into the digital age too. Because even if you couldn’t read the encryption, you could still get massive amounts of intelligence out of things, because if you had something that was in clear text you’d have that one item, and you look at the content as you’d be reading it, but it still didn’t give you the perspective of your entire range of activity, whereas if you looked at the metadata you could see your whole community of who you’re interacting with and how often. You could see things like if you had medical problems what doctors you were seeing. You could basically assume certain types of medical problems, depending on their specialties, things like that. You could see what things you buy and just … It’s similar to what companies are doing today except the companies are looking at the individuals only, and that’s primarily to sell you something. Whereas if you’re looking at intelligence you’re looking at groups of individuals or groups of people who are actively pursuing dope smuggling or money laundering or weapons smuggling or any kind of terrorist type activity or pedophilia or any kind of criminal activity of that nature, but it’s groups of people who are involved at that point. Jeff Schechtman: Using those methods, you were able early on to ascertain things that were beginning to happen, the invasion of Czechoslovakia, the Yom Kippur War, and even the Soviet invasion of Afghanistan in ’79. Bill Binney: Once you have the understanding of the patterns that you’re looking at, then it becomes pretty clear what is a real threat as opposed to what is not. That’s basically what intelligence is supposed to do. It’s supposed to give you advanced notice of intentions and capabilities. Unfortunately, today they’ve seemed to have lost that perspective. Now they’re pretty much doing a forensics job, which is a police job, after the attacks. For example, in terrorist attacks here in Europe or back in the United States, they basically come in after the fact and say, “Yeah, we knew this guy was a bad guy,” or “he had all these connections and we knew he was on our watch list or something and we were concerned about him,” but they weren’t following them close enough to be able to stop the attacks. The reasons they weren’t was of course because their policy of taking bulk acquisition of data on everybody on the planet, which meant you had to dive into this ocean to try to find the fish, you know? That’s the problem. That’s basically what they’re still doing today and that’s why they’re still having trouble stopping anything. Jeff Schechtman: Even then when these things became clear to you and some of your colleagues at the time, there was reluctance on the part of higher ups to believe it or to act on it. Bill Binney: Well, yeah, and part of the problem was we … The way we developed things, we did them very efficiently. That was one of our big mistakes. So It didn’t cost a lot of money. The major managers there at NSA didn’t really like that. It didn’t support a large organization. It didn’t support a big budget. Solving the problem was not their main issue. Also their concern was making sure that the agencies and all their contracts increased year-after-year so they had a bigger budget to manage. That was the big thing for them I think. Jeff Schechtman: One of the ironies in all of that is that even with the desire to find reasons to spend money and to look for contractors to work with, that as you talk about, the NSA was really ill-prepared for the digital age. Bill Binney: They were basically fat, dumb and happy thinking the Soviet Union would continue and that would be their major threat all along so they could justify the existence of a large organization like NSA, but when they fell apart there in 1990 they got caught. At the same time, just before that, before the Soviet Union fell apart, the digital age was starting to explode, so in the late ’80s, early ’90s the explosion had already started in terms of cell phones and computers and emails and things like that and the managers at NSA were still thinking in the old mentality, we need to have the Soviet Union around so we have an opposition out there that we can look at as the threat. They’re doing similar things today, trying to make them look like a threat. It’s an external threat. They’re trying to do the same thing again, but it was the whole concept of we have a threat that will justify our existence so we don’t need to worry about anything else. But when it fell apart they had to look around to find out where can we find another justification for our existence, so that became the international crime, terrorism, and the internet in the digital age. Jeff Schechtman: You were developing the extension, the digital extension of understanding these patterns that would have come, this program ThinThread, and yet because it wasn’t expensive enough, because it wasn’t really involved with spending huge sums of money, there was a pushback to it early on? Bill Binney: Yes. Yeah. And it … They were asking for something like $3.8 billion to start a separate program to try to deal with the digital age, so when we came along with a solution like ThinThread that solved that $3,200,000 … That’s all we spent on it, okay? And that was like from the beginning to the point where it was operational at three separate sites 24 hours a day for about a year, so we were clearly demonstrating the capacity and capability to handle all this information. But that became a threat to the budget request for $3.8 billion, because you go to Congress and ask for $3.8 billion, you have to have a problem. The problem they were alleging was volume, velocity and variety in the internet in the digital age. That was pretty much the problem we had already solved, so they had to get rid of us. We even knew at the time from staffers in Congress on the intelligence committees that all the companies that wanted the feed on that $3.8 billion were in fact down in the Congress in those committees lobbying to get our program canceled. Without any review by anybody except the conversations behind closed doors in Congress with the contractors they got our program canceled, with the cooperation of the NSA management of course. Jeff Schechtman: Talk a little bit about how ThinThread worked, how the program was able to do what it did essentially for as little money as it did. Bill Binney: Yeah. It boiled down to this. The first problem we had was to be able to sessionize data, that is take the internet, which passes data around in packets, and pull all those packets back together to form the original input, like an email or a phone call or chat or something. That would come in and we’d have to reassemble that much like your service provider does now, but we’d have to do that online and then they would look at it. We succeeded at doing that at fiber optic rates in 1998, and by doing it at that point, now we could look at the massive amount of data. But you can’t take it all in, because if you did you’d be doing like you’re doing today. You would just simply bury everybody with information. They couldn’t see the threats coming that way. So what we did, we used metadata in the relationships of social networks of people in the world to be able to see into that massive flow of data without looking at the content of the data, but just looking at the metadata. Then we could pull out all the data that was relevant for us to analyze and look at. By knowing the communities or individuals who were involved in certain activities, you could do that. Also you had developmental rules. You could figure out who else was involved with them at the same time, and could do it all online, so that meant you could filter everything right up front and you never take in data that wasn’t relevant. You’d only pull in the data relevant at the targets you want to analyze and everything else you just let go right by. That fundamentally gave everybody in the world privacy, not just US citizens, but everybody. Then once you pull that data in, if there are people involved in that that you don’t yet know who are participants in activity, what we would do is encrypt their attributes. Once you encrypted their attributes, nobody even inside NSA could tell who they were. That protected the identities of people. The third thing we had was an automated process to monitor who came into our network, who looked at the data, where they went, how long they stayed, what they did while they were there. It basically gave us a monitor to be able to see who was doing the right thing, who was doing the wrong thing, and the ability to stop them at any point in time. Those are the three things they removed from the ThinThread program and then translated that software forward to do the Stellar Wind program and eventually how they spied on the entire world, because there was no … We saw no limit to how much data we could take in and index and manage. Jeff Schechtman: There was a turning point that happened around 1999 when General Michael Hayden became head of the NSA. Talk a little about that. Bill Binney: He came in March of ’99 I believe it was, or maybe a little later, but he came in with a concept of outsourcing jobs in NSA, like for example the infrastructure. They had a separate program to do outsourcing of infrastructure, computer management, data management and all the communications lines of NSA around the world. When they did that, that was like the fundamental foundation for all the activities that we wanted to do, and then they just kept that outsourcing concept going. They even outsourced some language translations and things like that so that … Or functions that they felt could be outsourced. That fundamentally was moving into an area where contractors were taking over jobs that required some degree at least of experience in terms of intelligence direction and realized what you really needed to do there. When they did that, they were giving it basically to people who had no idea what the concepts of intelligence production are all about, so they lost some capability by doing that. Then fundamentally they also lost the management capacity of all the data they had, because if you looked at it, Edward Snowden was a contractor, he’s one of many. Martin was another one. Contractors who were really involved in maintaining the knowledge and understanding that’s accumulated inside NSA, that’s a kind of dangerous thing to do, because they work for companies that have many facets and industrial espionage can be easily done then, especially if you’re collecting all the data on everybody in the world, including all the companies in the world. Then that’s certainly a hazard. It also is a hazard in terms of the compromises that could occur, which we witnessed and are continuing to witness. That was one of the problems of outsourcing. Jeff Schechtman: One of the things that also happened is that some of these contractors, some of these executives from these outside contractors were brought in at the highest levels of the NSA. Jeff Schechtman: SAIC was one of the outside contractors? Bill Binney: Right, and they hired him in to be deputy director of NSA. Then they hired Sam Visner in to be the head of the Transformation Office inside NSA. They managed all the large contracts that NSA was going to let them to outsource and modernize. So when it came time for the Trailblazer program, I mean the first contracts were let to SAIC for about $280 million or something like that in the first year, and then it simply went up from there. Jeff Schechtman: At one point Hayden comes to you and essentially asks you to spend more money. How can you use more money? Bill Binney: When they first formed the Transformation Office, a friend of mine was the chief of that office at the time and he knew what we were doing down there, so he sent his deputy down to talk to us about … He actually came down and said, “What could you do if we give you $1.2 billion?” After spending $3 million to do a program, what are you going to do with $1.2 billion? That’s kind of a jump in budget. We said it’ll take a little time to figure out what to do, and we took a few days and came back and said we could upgrade and modernize the entire world and everything back here at NSA and all that around the world, but we could only spend maybe $300 million of that, so they were a little over that. He went back and said that’s great, and then he went away, and then he came back down the next week and he said, “Well, you guys did such a good job there with that thing, how about $1.4 billion? What could you do with that?” So he was trying to push money at us to try to spend it, but that was the Transformation Office. Once Hayden found out about that, he basically removed him, so he put a new person … That’s when Sam Visner came in after that to take over. They needed another contractor to take over and do what the contractors needed to do. Jeff Schechtman: Talk a little bit about how what you were doing paralleled the evolution of digital technology itself and how you were managing that within the context of ThinThread in your program. Bill Binney: A lot of it, if we could what we would do is look around in the commercial environment and see if there’s any software that would do jobs that we saw we needed to do with our data and so on. A lot of things like using different tools to open up attachments and look at attachments and see what’s in them, those kinds of things, we would take and leverage. We were pretty cheap about it, so some of these products cost only 37 bucks a copy and we wanted to do a few hundred things all simultaneously, we’d go buy a few hundred of these products and just put them online and substitute that instead of building software from the beginning. Generally the people in the technology area preferred to develop the technology from the very beginning by themselves, not leveraging what’s commercially available, so that meant their budgets had to be so much bigger, because in order to do that they would spend something on the order of $25 a line of code. That was kind of the average of the cost for a contractor to do a line of code. If you multiplied that, if you had 100,000 lines of code, $25 a line just to do something that you could substitute for it by buying a $37 apiece product, that’s the way we took the … That’s the route we took as opposed to developing the software. Then we’d just … If we needed to, we had certain software we’d have to build ourselves, which we did, but it was limiting it to that which … Only that which we had to do, not … And we did that simply by looking around at the commercial environment to see what’s there and take advantage of it, leverage it. That’s how we could keep it so cheaply. Jeff Schechtman: Talk about the attitudes that were coming from the top, people like Sam Visner, who you mentioned before, who would come out of this company, this software company, and a little bit about the attitude that money would be around for everybody, that just don’t worry about it, there will be plenty of money. Bill Binney: Sam came from a commercial environment and commercial companies in general … I mean that was my experience with all the contracting I had been involved with or tried to get going inside NSA for about 20 years, they seemed to want to move at their own pace. They had an agenda, which was … If you looked at it, it was pretty simple. It was how do I get the next contract? It’s not a question of … It’s a question of once they acquire a certain level of bulk in terms of a company, you had to have so much business to sustain that, and so if you go into a project and solve the problem quickly then you don’t have the problem to get more money, so you don’t have to sustain yourself so you can’t get a follow-on contract. Their whole process was to look at it that way, how can I sustain my business or how can I grow my business? It boiled down to originally I thought the entire concept of contractors working for government was … Their vision statement was aim low and miss, because they’d always miss. They never solved the problem. But then after a few years I kind of figured it out. It really wasn’t that. The whole vision statement for them is keep the problem going so the money keeps flowing. The whole point was you had to have a problem to say you needed more money from Congress to do it, and that’s the way fundamentally almost all of them operate. Jeff Schechtman: Which brings us to 9/11. Talk a little bit about that. Bill Binney: Well 9/11, unfortunately the management at NSA didn’t want to deploy the ThinThread which we had proposed to deploy in January of 2001. This was a little over seven months before 9/11. We wanted to target all the terrorist operations in the world, so I went to the Terrorist Analysis Shop and I said, “What sites produce intelligence that you find useful in analyzing the terrorism problem around the world?” They gave me a list of 18 sites, so I had those 18 sites and I thought okay, these are now our targets, so let’s put together … This was like in November of 2000. We put together a plan to do these deployments in January of 2001. Most of it would be done remotely, electronically downloading to hardware in the field, so we wouldn’t have to physically do it for most of them, but some of them we would. We had to build some software and hardware and put it together for them specifically because they were unique things, so we had to adjust our attack for that. So it would take a little longer to do them, but most of them could be done very upfront and in just a couple days. We made this proposal and we had said it would only cost us probably on the order of $9 million to do it. At that point it would have taken care of the terrorism problem around the world, but management of course, seeing a threat to their budget request, decided that it was more important to do the budget than to do the mission. That was the unfortunate part, you know. Jeff Schechtman: Tell us a little bit about what you discovered post-9/11 when you were able to get back into your office essentially. Bill Binney: Yeah. They kept us out for a couple days there right after 9/11 and when I got back in I started trying to help to find out all the background of who did this and all that, and my contractors came up to me and told me about a meeting they had had. They said the head of the Transformation Office, Sam, came up and said that don’t … He was talking to a small contractor who I had used. This was a small, six, seven man company that was all special people for software and some hardware development, but it was all pretty efficient. So that’s basically the people I used to do the ThinThread Program. What he did was he came up to them and told them … At least he told me this. He said that Sam had told him that don’t embarrass large companies like SAIC, TRW, other kinds of large companies. “You don’t want to embarrass them. You do your part. You’ll get your share. There’s plenty for everybody.” That was the attitude that management had there. My whole point after that was that they fundamentally in this entire process traded the security of the people of the United States and the free world or any country we were allied with and trying to help in terms of stopping terrorism, they traded that security for money. Jeff Schechtman: When you went back in and looked at some of the patterns on ThinThread after 9/11, you came to the conclusion that if that had been operative at the time it might have actually been able to provide the information that could have prevented it? Bill Binney: Oh yeah. I pretty much knew that, but Tom Drake actually proved it, because he … After 9/11 they started turning the process … They removed the components of ThinThread that they didn’t like, like the filtering up front so still bringing in everything but protections, no protections at all, so everybody was identified, and no monitoring of who’s doing what, because they might find that people are going to use it badly, like FBI or CIA or somebody like that coming in, or DCHQ, somebody like that. So anybody coming into the database wouldn’t … They could come in and do whatever they wanted, whatever the access they gave them, and no one could follow up and hold them accountable for anything. When they removed all that stuff, they started spying on US citizens, because we were the closest, okay? So we were the first ones into the bulk acquisition system. I went to the House Intelligence Committee to tell them about it, but that was the problem I had, so that’s why … And Kirk Wiebe and Ed Loomis left at the same time I did, so we were all … Ed didn’t really believe it, but our contractors who did it, who set it up for them, were telling me that that is what they were actually doing. Later on, of course, the Snowden material came out and said there’s the documentation for all of it, so that was the reason I had to leave NSA. Jeff Schechtman: What was your reaction when the Snowden material came out? Bill Binney: I didn’t take any material out because most of the people in Congress, for example, knew that I was the one who was developing all these programs or involved in many of them, and so I didn’t feel like I needed any kind of documentation since I was kind of the founding father of the stuff. When I was talking about it before Edward Snowden came out it didn’t really get too much traction because nobody could really believe that that was true. So when Ed took out and brought all this material out and the documentation, that was obviously … That gave me the opportunity to talk in public about those programs that were documented in the material that Edward Snowden released. Jeff Schechtman: And you filed a complaint with the Inspector General I guess around 2002. Talk about that. Bill Binney: Yeah. We actually were pursuing two complaints. One is the legal one for violation of the Constitution and all that, and that we took to the House Intelligence Committee and also to the … We had tried to see the Chief Justice Rehnquist of the Supreme Court, but that never materialized. We could never get to see him. That was the one avenue of just Constitutional violations, law and so on. And the other part was the fraud, waste, abuse and corruption, which is in your employment regulations. When you become employed by the US government there’s a section in there that says you are required to report fraud, waste, abuse and corruption to the Department of Defense Inspector General and they would give a number, and this was published on the last page of the monthly periodicals they would publish inside NSA and then send it around the workforce. The corruption, fraud, waste and abuse part we directed toward the Inspector General, because that’s their function, to find that kind of stuff, and that’s one of the things they were soliciting. So we fulfilled our requirement for work, all the requirements there, and the requirements to report fraud, waste, abuse and corruption to the Department of Defense Inspector General. That was in September of 2002. Once we filed that, they took about 12 inspectors and came back out to NSA and started investigating. It took them a little over two years to do it, and they of course corroborated everything we said in our complaint and much more in terms of the internal NSA attempts to subvert the investigation and also the people involved in that. In fact, the Inspector General chief investigator said to me at one point … He told me he had to put his badge on the table and tell the person that interfering with the Inspector General’s investigation has with it a five-year jail sentence and $5,000 or something like that fine, and that’s the only time they stopped trying to interfere with their investigation. But most of it has been redacted and if you go on the web and look at it, the report is DODIG Report 05-INTEL-03. 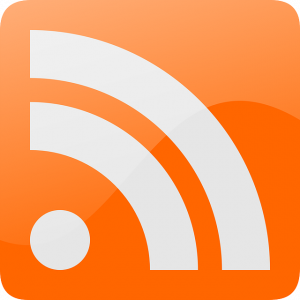 It’s about the Trailblazer and ThinThread requirements, I think the title reads, and it substantiates everything we were saying. Jeff Schechtman: Most of the report, as you say, has been redacted? Bill Binney: 80% of what’s been redacted is unclassified. If you looked at the side of the top of the paragraphs there, if there’s a U there that means unclassified. So if you look at it, most of it is that way. The only reason they do that is because it’s too embarrassing and too much of an indication of corruption and fraud. The problem I see is the Department of Defense … First of all, it’s in violation of Executive Order 13526, Section 1.7. That is the Executive Order that governs classification and protection of data by the US government. The president has to sign this. Every year I think they have to sign this paper. But in that section it says you cannot classify, maintain classified or not de-classify any material that is evidence of a crime, fraud, waste, abuse, corruption and so on, or you can’t cover it up for embarrassment to a person or an agency. All of those redactions are to cover up all of that, and that’s where this is a real problem, even for the IG, I don’t understand why the Department of Justice is not involved in this. This was a very clear violation of all the principles and laws of our government. Jeff Schechtman: Talk a little bit about what happened in your efforts just to maintain a business after you left the government and what happened in 2007. Bill Binney: Between the start of 2002 and 2007, Kirk Wiebe and Ed Loomis and I were trying to get a consulting group together. Our plan was pretty simple. If NSA didn’t want to take leverage and use the technologies that we were developing there, the automation and the ability to do massive data in a smart way, then we were going to take it to some other department of government and see if we couldn’t come back in the other way around and come into NSA from the outside instead of developing inside and moving out. We were going to try the reverse. Every time we went somewhere and NSA found out about it, they got the contracts terminated. In fact, the SIC staffer who was in charge of overseeing the NSA, he had their account for the Senate Intelligence Committee, when he found out about one of the ones he wanted us to work on, he went there and NSA got that whole contract canceled. He wanted to have the Senate investigate NSA for doing that, because that’s basically a criminal activity, subverting the right to pursuit of happiness, if you will, or work. So they’re interfering with the ability of companies and people to do work for … Even for the government they were doing that. He wanted them to investigate, but in 2002 the … This is when this occurred, the Senate was not prepared to do that. They didn’t want to look like they weren’t supporting the grandiose patriotic war against everybody else that was involved, the terrorism, and if you’re going to investigate somebody for some kind of fraud and corruption internally, that’s not something they really wanted to get involved with, so they didn’t do that. But then after that we went to another place, INSCOM, and they basically got that one terminated even before it started. Then we got another one working as a subcontractor for another one of the larger contractors, not for NSA but for another agency in the government, and when they found out about that one they also found out that … NSA came by and they said, “We don’t want you people working with these people,” and that was what came from … From the other side, they simply said, “Well, we can’t embarrass NSA or what have you, so we’ll have to terminate the contract,” so that’s what they did there. This was getting on to 2005 and 2006. Then after the New York Times article we were the prime candidates that they thought did that. Well, they in fact knew who did that. It was Thomas Tamm, the Department of Justice lawyer was the one who tipped off the New York Times. That was one of the primary ones anyway. We had nothing to do with that. They already knew that from the Stellar Wind program, where they had been studying all the relationships inside the US for at least four years by that time, so they knew that we had no contact with anybody in the New York Times. Still they wanted the … This was the vendetta I guess they wanted against us, so they decided that we had to be the ones investigated, and they sent the FBI at us. It took us five years to get the sworn affidavit, by the way, to get some judge who didn’t know anything about anything. I mean he … This judge was just totally ignorant of any national security or anything. When somebody would say national security, they would just say, “Oh, my goodness. Oh, I guess I have to sign.” That’s fundamentally what that judge did. The affidavit was clearly a fabrication and we could prove that, but we didn’t know until five years afterwards because it was a classified affidavit and they wouldn’t let it go, so we had to sue them basically to get it. After that one, it was the Department of Justice that took over from the FBI and NSA in terms of stopping us work[ing]. The Department of Justice decided they were going to prosecute us under the Espionage Act of 1917 and try to put us in jail for 35 years. Here, again, they started fabricating evidence. The first two times they attempted that they told our lawyer they were doing it. We had exculpatory data on that at the time and said, “Here’s the exculpatory data,” and they dropped those attempts immediately. The third attempt, they simply called our lawyer and said that they were going to … And this is in late 2009. At this time they called him and said they’re going to indict us, all of us, Tom Drake, Kirk Wiebe, Ed Loomis, Diane Roark and myself, for conspiracy to … They were manufacturing a charge, so they called it a conspiracy to release classified information. What I had been doing over that period of time, from 2007 on, I had been assembling all the information I could that would show malicious prosecution on the part of the Department of Justice, and when they threatened us with that I knew immediately I had all the necessary evidence to prove that case against them in a court of law. So what I did was I … I didn’t even consult my lawyer for this. I thought I’m going to play a little game here with the FBI and the Department of Justice, or injustice, however you want to put it. So I called Tom Drake because I knew his phone was tapped by the FBI, they were sitting there recording and listening, and so I said, “Tom, our lawyers just called us and told us they’re going to indict us all for this conspiracy charge, cranking up fabrication against us, and here’s all the evidence I have to prove that and show that malicious prosecution on the part of the Department of Justice,” and I read it all across the phone to him. So we went from being … I know our lawyer had no idea what happened, okay, because I never told him what I did, so he was out in the dark. I’m sure he had … He said, “This is great. I didn’t have to do anything.” Anyway, so eventually we got those letters and the whole thing was just come in and talk to us, to be honest, and we were already doing that, so it was as if we didn’t. I originally didn’t want to do it because I wanted to go to court, but our lawyer said, “No. If you do this it’ll be over all at once and you don’t have to worry about it.” I wasn’t worried about it at all anyway, but … So we met with them, and I had to take the opportunity to tell them exactly what I thought of them. That gave me a face-to-face with the prosecutor, with the head of … One of the lead investigators of the FBI, and one of the yo-yos from the Q2 Department of the NSA, internal security at NSA. I made it perfectly clear that I didn’t think very much of them or anything they’d been doing or all the violations of law that they were doing, and the idiot from Q2 said, “What violations of law are they?” Well, I mean he gave me my grand opportunity to tell him exactly what it was, which I did. It was like the First, Fourth and Sixth Amendments of the Constitution, the pen register law, the privacy act, the security act, all the regulations and laws passed to cover FCC regulations with the internet service providers and the telecommunications company. You know, just a few things like that. Jeff Schechtman: Where did all of this pressure against you and your colleagues … Where did it all emanate from? Do you have a sense of that? How high did it go? Bill Binney: I think it went probably all the way to the White House, especially with what I call Darth Cheney. He went to the dark side, so I have to call him something, Darth Cheney, not vice president, you know. I think it went all the way up there. It also had a lot of support with the management of NSA, and obviously the Department of Justice and the FBI fell in line too. That included Mueller on the FBI and Comey at the DOJ at the time. Jeff Schechtman: And Michael Hayden moved on to the CIA? Bill Binney: Of course. I mean he put the Trailblazer program together, spent a lot of money, and it ended up in producing no intelligence, a lot of powerpoints and no capability at all. He just used everything we had already developed. So basically he messed up really big time and he moved up really big time. So I guess that was the principle in our government, mess up, move up. Jeff Schechtman: Finally, Bill, how much of this is going on still today? How much of this is operational today and really impacting the privacy of people today? Bill Binney: Basically all of it, and actually spreading more and more collection facilities, capabilities, so what it means is they have to keep building bigger and bigger storage facilities, like the one in Utah, the 1,000,000 square foot facility in Utah. They had to build that one because they were collecting so much data, and they like to keep it all as long as they can. You need to store it somewhere, so you need 1,000,000 square foot storage facility out there in Utah. Then after that one, that one came online in 2013, and so by … They were planning ahead, five, six years ahead, they’re going to need a larger one because they’re collecting more and more data year-by-year because the amount of data going around the world is ever increasing, so they have to build a much bigger storage facility, so that’s why they broke ground for a 2.8 million square foot facility on Fort Meade just about a year ago. Jeff Schechtman: I think I remember you saying it was an NSA official who said to you shortly after 9/11 that it was going to be a gift that would keep on giving for at least 15 years? Bill Binney: Yeah, that’s right. He said, “They can milk this cow for 15 years.” That was a Sam Visner quote. Yeah. Jeff Schechtman: Bill Binney, I thank you so much for spending time with us today here on Radio WhoWhatWhy. Jeff Schechtman: Thank you. Thank you for listening and joining us here on Radio WhoWhatWhy. I hope you join us next week for another Radio WhoWhatWhy podcast. I’m Jeff Schechtman. If you liked this podcast, please feel free to share and help others find it by rating and reviewing it on iTunes. You can also support this podcast and all the work we do by going to whowhatwhy.org/donate.